Two Door Cinema Club, who I just recently posted about here in late October, have just released this great new video for their single 'I Can Talk.' The single will be released on November 16th with some fantastic remixes from the likes of French Horn Rebellion (which you can stream/download from my previous post) and Crystal Fighters which I've provided for you here! great remix. 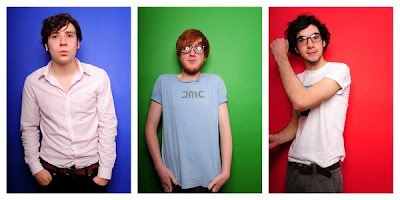 thanks for posting... i saw Two Door Cinema Club live last saturday. they were A-MA-ZING!! sick track mike! i like the original/video version better. soooo catchy!